Ordnance Survey One-inch to the mile, Popular edition, Scotland, 1920-1930. NCAP - the National Collection of Aerial Photography NCAP - the National Collection of Aerial Photography (part of Historic Environment Scotland) has a huge collection of aerial photos from arounfd the world. 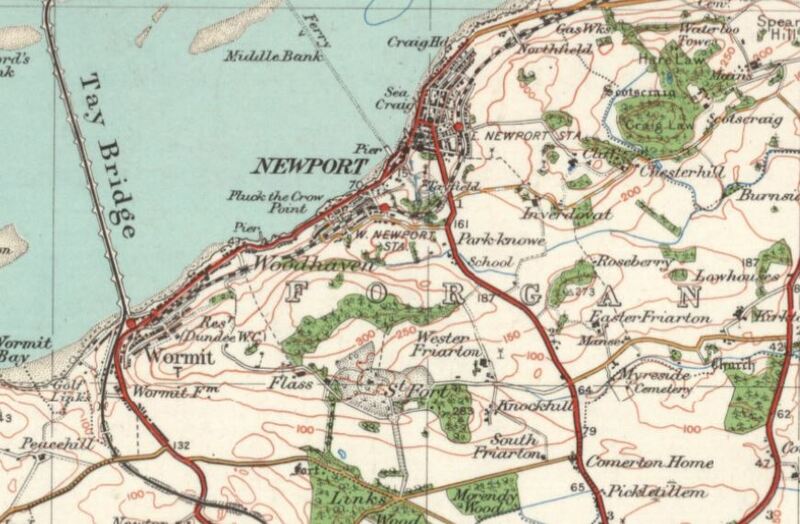 There are several hundred views of Newport, Wormit & Forgan, taken at various dates from the 1940s, possibly even earlier. Keep enlarging the map to find the location of the centre of each photo. Britain From Above has a smaller collection, probably a sub-set of those on the NCAP site, and are not easily searched. National Library of Scotland map collection The best site for Scottish maps. Vision of Britain Land Utilisation Maps (1930s), and others. PastMap Mapping showing the location of historical buildings and archaeological sites recorded by the Royal Commission on the Ancient and Historical Monuments of Scotland, Edinburgh (registration required).